It's a pawty! Our little guy loves playing with our doxies so it only seem natural that for his 1st birthday we throw him a puppy themed party, specifically a wiener dog one. From a hot dog bar to an "Adopt a Pet" center everything was bright, cherry, & fun! Aside from our crazy wiener dogs, an aqua, navy, and lime green tissue tassle garland found at Target was what inspired the party's color theme. I love all things DIY (and I also run a craft blog and a small invitation shop) so I had a blast creating all of the paper goodies like the invites, birthday banner, food tents, and tags. The centerpieces were also made by yours truly. Outside of the projects I worked on myself I found a lot of the party decor and goodies at the Dollar Store, Target, Party City, & Home Goods. I probably had WAY too much fun shopping for this event! I loved the dessert table! It's a rarity for something to come out as I had envisioned but this table made me smile every time I walked past it. My other favorite part was the "Pet Adoption" Center. Each kid got to name and take home a puppy. It was so sweet to watch them ponder what to name them and carry around their pups all day. Plan ahead! I started planning this party months in advance, which was a good thing BOTH for me AND the lives of my loved ones. When shopping for party decor think outside of the box when it comes to retailers. Party stores are fun but stores like Home Goods,Target and the Dollar Store are also great places to check out as well. 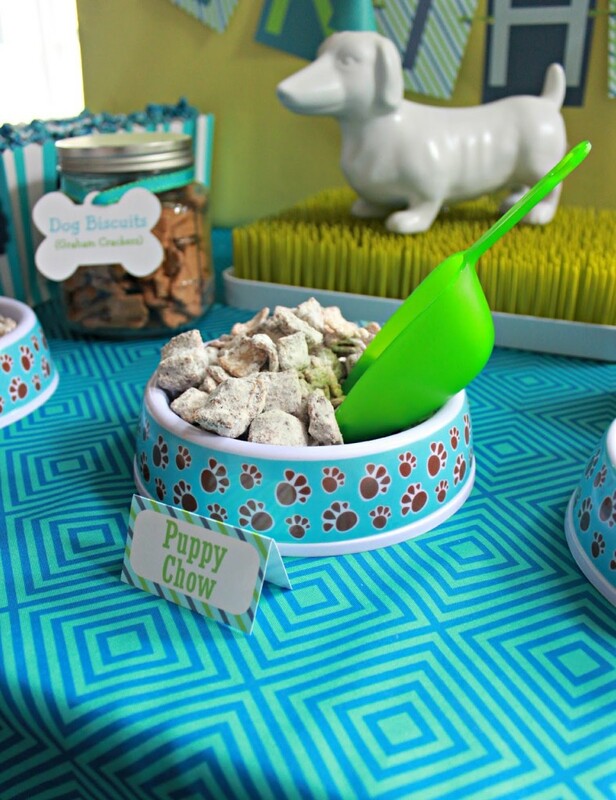 If you consider yourself creative make sure to include DIY projects as well for your party. These are the things that make your event one of a kind!